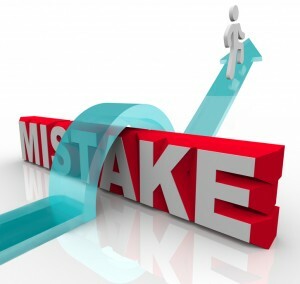 6 Most Common Bankruptcy Mistakes to Avoid (Pt. 1) - Jon B. Clarke, P.C. Filing for the wrong type of bankruptcy is one of the most common bankruptcy mistakes people make. Contact us for help avoiding bankruptcy mistakes that could hurt your case. Filing for bankruptcy can provide a much-needed relief from serious debt for many people. However, in order to enjoy this financial fresh start, people will have to first successfully file for bankruptcy and make their way through the court process. As with other legal processes, filing for bankruptcy has some very specific requirements, and certain procedures have to be followed in order for people to get their debt discharged through bankruptcy. Given the intricacies of the process, as well as the fact that many bankruptcy petitioners likely have little (if any) experience filing bankruptcy, it’s not uncommon for people to make mistakes in their bankruptcy case. While such bankruptcy mistakes can end up delaying a case, in the worst cases, more significant bankruptcy mistakes can end up costing people more money, causing them to lose more of their assets than necessary and/or resulting in their case being denied by the courts. In this blog series, we will highlight some of the most common bankruptcy mistakes that people make. If you are considering filing for bankruptcy and want to avoid making these (or any) mistakes, make sure to contact Denver, Colorado Bankruptcy Lawyer Jon B. Clarke for superior representation in your bankruptcy case. Mistake 1 – Failing to consider alternatives to bankruptcy prior to filing. Although bankruptcy can be an effective way to obtain vital debt relief, this is not always the best option for everyone. In fact, various factors – ranging from the specifics of a person’s financial situation to the nature of his debt – will determine whether bankruptcy or an alternative to bankruptcy is the best debt relief solution for a particular person. Therefore, before making any move to try to offload some of your debt, make sure you talk to an experienced bankruptcy and debt relief attorney who can evaluate your situation and give you professional advice regarding your best options for moving forward. Mistake 2 – Filing for the wrong type of bankruptcy. Being able to offload (i.e., discharge) as much debt as possible. Whether a person is married and plans to file jointly. For our continued discussion of common bankruptcy mistakes to avoid, be sure to check out the upcoming second and third parts of this blog series. Denver, Colorado Bankruptcy Lawyers at the Law Office of Jon B. Clarke, P.C. If you are overwhelmed by seemingly insurmountable debt and are looking for a financial fresh start, contact the trusted Denver, Colorado debt relief and bankruptcy lawyers at the Law Office of Jon B. Clarke, P.C. For a thorough assessment of your situation, call us at (866) 916-3950 or email us using the contact form on this page.